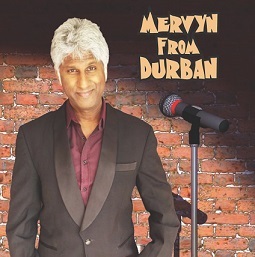 Mervyn from Durban returns to Sibaya Casino & Entertainment Kingdom to dish out some laughs over the long weekend. Catch him at the iZulu Theatre on Sunday, September 23, 2018. He will regale his audience with hilarious stories about growing up in Durban. He also delves into the types of people and daily experiences that are encountered while living in Durbs, from the honourable members of parliament, parastatals, the municipality, service delivery, thick people and narcissist celebrities to gold diggers, sugar daddies and fake people. In fact, nobody is spared in his hysterical show. Laugh with Mervyn from Durban Sibaya at 20h00 this Sunday. Tickets R100 and R120 at Computicket, Shoprite/Checkers or Sibaya Box Office. The show carries an age restriction of PG 13.